How? What? Why? | Sadly, Office 365 video isn’t a good fit for schools, yet! This would be huge, having a fast video option working inside China but because the service requires a password it cripples it as a viable option. Why is it hard to use a password? Well for our very young children it’s all but impossible for them to use a password, they are still in the process of learning the alphabet. The other users are our parents, they are not part of our domain. Could creating a dummy account be a solution? I don’t think so, that would pose a security risk. I explain this in detail in the video above. 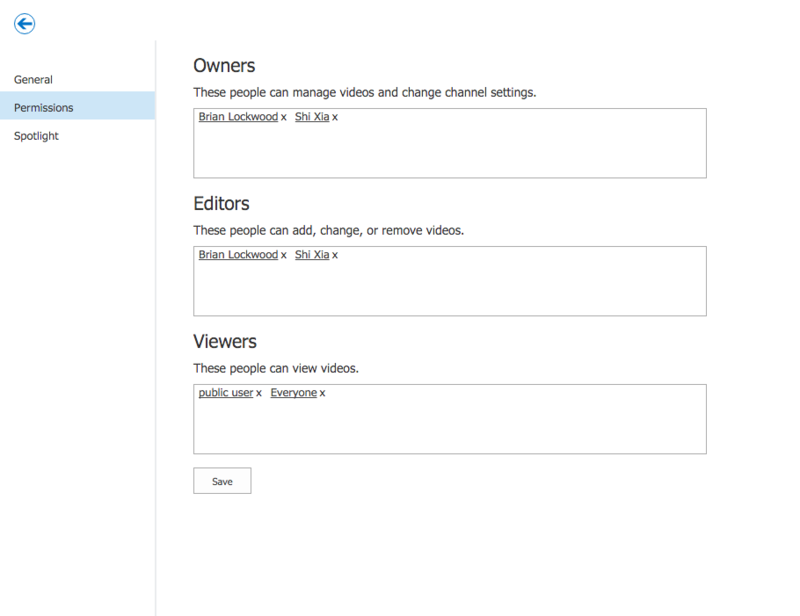 All the Office 365 video team needs to do is allow videos channels which have the “everyone” permission to be seen in public. The permission sets are there, the next step is making it a possibility. We’ve been using MediaCore for this job but I received an email stating their service would be stopped, because they were purchased by Workday. The Video below is a test to see, if it can be watched publicly without password access. So far my tests are not positive. Now it’s time to see if the Office365 team can grant my wish. If the wish is granted the video below will play back with no password prompt. When and if you can get this function to work, these are the types of education instruction video we will place. When you look at the content, there is no real reason to have a password in the first place. Until Microsoft comes up with a viable option we have chosen to use Vimeo as a solution. It’s cumbersome because it’s a single account shared with hundreds of people. It means we have to trust everyone doesn’t delete someone else files or change the setting of the site. To limit problems we created three accounts. One which is exclusively for School marketing, one only for teachers and one only for students. Yep. External and public sharing isn’t supported but we are starting planning for it. It’s a bigger project and will take a while to finish. We may go with a model to start with for public/anonymous sharing that allows us to enable small scale sharing of a <50 views per day. To support full anonymous with unlimited number of views we need to build a business model and charge back where Microsoft can recoup some of the streaming costs from customers if a video was viewed a lot publically by people without an O365 license. I’m in agreement with you … we’re fortunate because our parents are part of our domain but it’s still an unnecessary hurdle because Grandma or Aunt Bertha can’t see things that can and should be publicly accessible. My assumption here is that Microsoft is okay with throwing the storage and bandwidth for internal use but doesn’t want to fund another YouTube.